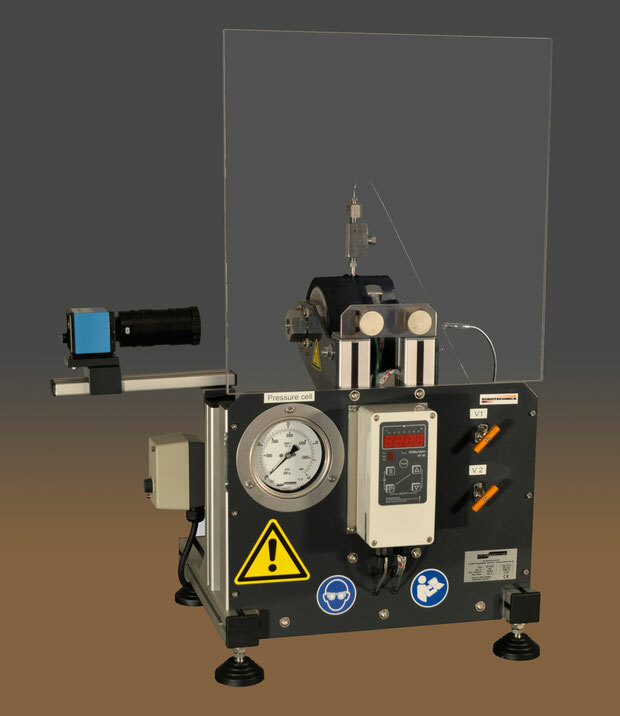 The High Pressure Phase Equilibrium unit is designed for determining phase equilibrium and PVT - analysis at elevated pressure, e.g. in presence of compressed carbon dioxide (CO2) according to the synthetic or analytic method. By use of a view chamber, formation of different fluid or solid phases may be detected, such as precipitates or gas bubbles in a liquid. Solid samples may be inserted into the view chamber by opening the windows. Liquids are fed to the system by a syringe pump (manual or automatic). One of the continuous fluid phases, usually a gas phase, may be recirculated for obtaining an intensive phase contact. The gas phase may be passed through a six port valve for gas analysis. A sample of the liquid phase may be retrieved directly from the view cell while maintaining the pressure constant with a hand piston or automatic syringe pump.